Here's an image of the Asteroid Oumuamua as it is in deep space. We've put a lot of effort in to this post so we hope you enjoy it?m We researched it thoroughly and it's got quite alot of questions with quite alot of answers which is usually a rare thing as people generally just ask questions in this type of post? 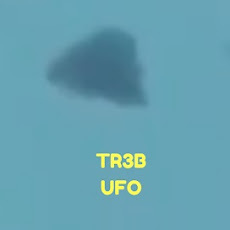 We've done a couple of videos about this particular curious and unusual looking and very distinctive looking plus we're almost certain it's an Alien looking (cigar shaped) Vessel. 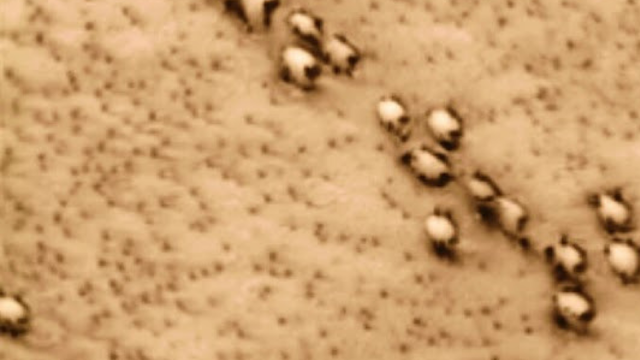 it could be carrying up to and possibly not limited to or even close to (could be more or less) - 5 thousand Alien beings or entities? 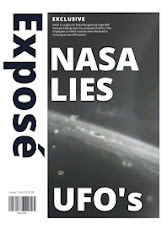 This is a "no holds barred" definite UFO of the intense kind? When I say to you "imagine an - ancient UFO in space that's streamlined plus with generations of Alien entities or beings inside" as a side suggestion also imagine it with scars of pea sized and marbles sized asteroids hitting this "amazing thing" over the many, many years, decades and even millennia in space - what would you think of? Huge Space Asteroid Called Oumuamua Flew Past The Earth Could Of Been Colonised? I personally would think of this! I would think of a big looking cigar shaped spaceship. I would look for an already existing asteroid which has got all the protective layers already within it's make up as it's set to go instantly. 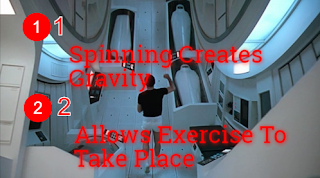 It has a rotating shape that could create artificial gravity which is a must. It has hollow compartments which is a must, it is streamlined for any eventuality to go through a potential atmosphere? It is made up of space dust which is a perfect insulation and I could go on and on for as long as this thing has being hurtling towards us? Oh did I forget to mention that? 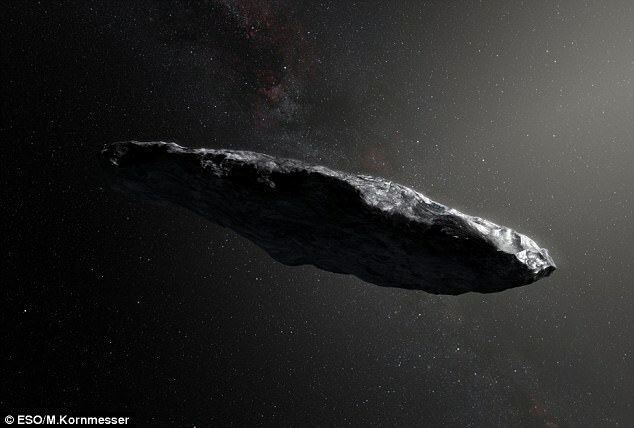 Cigar-shaped interstellar asteroid that was thought to be an 'alien probe' collided with a mystery object before tumbling into our solar system at 97,200mph. The possible Alien spaceship and "cigar shaped asteroid" known as “Oumuamua” is what we here at UFO Sightings Footage as the Smoking Gun or the UFO that broke the Camel's back? So-to-speak of course. Even NASA has taken such interest in to this Asteroid that it has peaked conspiracy theorists interest and taken it to another level! The first asteroid from outside our solar system came flying towards us at 97,200mph (156,428km/h) after smashing into another "cosmic body" billions of years ago. That's the conclusion of a new study on 'Oumuamua, the mysterious "alien probe" asteroid that was spotted by Earth's telescopes in October 2017 by researchers at the Queens University in Belfast Ireland. They never discovered it, just analysed the thing? 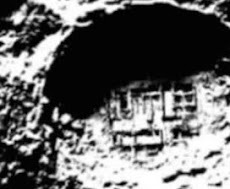 It was actually SETI which said it might just be an Alien artifact? So yeah, what actually was this "Cosmic body" and what does it actually mean? It generalises the whole incident that put this on course for (our part of space) to the point in which Peter Rabbit or Peppa Pig could of been the culprit? Seriously though, the term Cosmic body could mean anything quite literally ANYTHING? What was this so-called COSMIC BODY? Researchers believe that the cigar-shaped asteroid had a "violent past", after looking at the light bouncing off its surface. The team aren't exactly sure when the violent collision took place, but they believe the lonely asteroid's will continue tumbling in space for at least a billion years. They don't even know when it was brought in to existence and specifically "how" it was brought in to existence? When it was found last year, the asteroid was claimed to be a possible spaceship from another galaxy. You can imagine how excited astronomers and the UFO community took this in? Yep, they took it in exactly as you would imagine? One was authoritative like and cold, sober maybe even surgical in taking this "new and unusual news" in! The other was excited, fist pumping and possibly "told you so" rubbing it in your face like behaviour? Maybe even a wee bit smug? Around the size of the Gherkin skyscraper in London, some astronomers were convinced it was piloted by aliens due to the vast distance the object travelled without being destroyed – and the closeness of its journey past the Earth. Alien hunters at SETI – the Search for Extraterrestrial Intelligence which is based at Berkeley University, California then said that there was a possibility the space rock was ‘an alien artefact’. But scientists from Queen’s University Belfast took a good look at the object and said it appears to be an asteroid, or ‘planetesimal’ as originally thought. 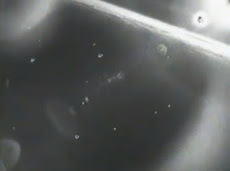 Scientists revealed that the object survived its long journey because it had a protective crust which stopped its core – probably made of ice - from vapourising. Now, in their new study, the Belfast team have attempted to create a more accurate profile of Oumuamua, to find out where it came from, and where it is going. To do this, they studied changes in its brightness over time. WHAT IS "OUMUAMUA ASTEROID" AND WHAT DO WE KNOW ABOUT IT? 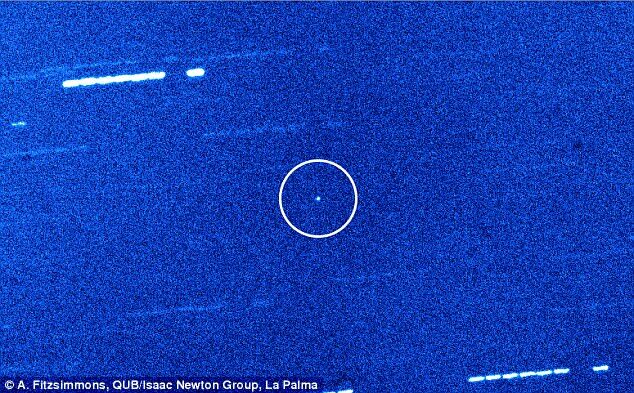 A cigar-shaped asteroid named Oumuamua sailed past Earth at 97,200mph (156,428km/h) in October 2017. It was first spotted by a telescope in Hawaii on 19 October, and was observed 34 separate times in the following week. It is named after the Hawaiian term for 'scout' or 'messenger' and passed the Earth at about 85 times the distance to the moon. It was the first interstellar object seen in the solar system, and it baffled astronomers. Initially, it was thought the object could be a comet. However, it displays none of the classic behaviour expected of comets, such as a dusty, water-ice particle tail. The asteroid is up to one-quarter mile (400 meters) long and highly-elongated - perhaps 10 times as long as it is wide. That aspect ratio is greater than that of any asteroid or asteroid observed in our solar system to date. But the asteroid's slightly red hue — specifically pale pink — and varying brightness are remarkably similar to objects in our own solar system. Around the size of the Gherkin skyscraper in London, some astronomers were convinced it was piloted by aliens due to the vast distance the object traveled without being destroyed – and the closeness of its journey past the Earth. Formally designated 1I/2017 U1, it was discovered by Robert Weryk using the Pan-STARRS telescope at Haleakala Observatory, Hawaii, on 19 October 2017, 40 days after it passed its closest point to the Sun. When first seen, it was about 33,000,000 km (21,000,000 mi; 0.22 AU) from Earth (about 85 times as far away as the Moon), and already heading away from the Sun. Initially assumed to be a comet, it was reclassified as an asteroid a week later, and finally (6 November 2017) as the first of the new class of interstellar object. "Oumuamua" is a small object, estimated to be about 230 by 35 meters (800 ft × 100 ft) in size. It has a dark red color, similar to objects in the outer Solar System. Oumuamua showed no signs of a comet tail despite its close approach to the Sun, and has significant elongation and rotation rate, so it is thought to be a metal-rich rock with a relatively high density. Oumuamua is tumbling rather than smoothly rotating, and it is moving so fast relative to the Sun that there is no chance it originated in the Solar System. It also means that Oumuamua cannot be captured into a solar orbit, so it will eventually leave the Solar System and resume traveling in interstellar space. Oumuamua's system of origin and the amount of time it has spent traveling amongst the stars are unknown. Is this first rate, first reportedly an Alien spaceship really a Alien spaceship with Aliens living inside of it? Let's just get outside the box for 2 seconds and think of it as a fact? 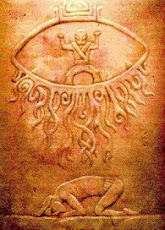 The Aliens inside must be from generations of the initial Aliens which set out on their travels? 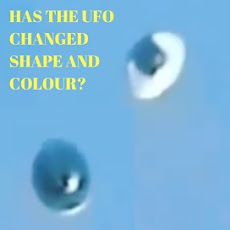 They must be changed in looks and they must be physically changed, because of the immense amount of time which this "Alien craft" has been flying through space, right? Or that a localised evolutionary trait exclusive to The Planet Earth? Is evolution an inevitable "innate" structural safety system designed to allow the living tissue (host body) to adapt to its immediate surroundings which the outside of the body surroundings? If this is wildly possible or even close to the truth then I dread to think what being being in an Asteroid for the time this has been going through who knows what in Space would make one look like? It's moving so fast that it will NEVER be caught in an orbit of anything! So if its travelling so fast where did it come from, where did this originate from? It could not of been moving this fast as it hit-the-road-running did it, so-to-speak? It's obviously not a piece of metallic rock broken off from another bigger Asteroid because of it's profile looks? I mean, its streamlined to look like a cigar in shape? It's not spinning in the bullet type spin but that doesn't matter, rotation is rotation isn't it? Would that have any bearing on it being able to create artificial gravity or not? 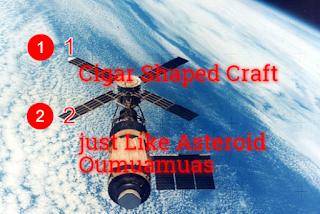 There's a few video animations made showing the Asteroid (Oumuamuas) hurtling through space. Guys the ET of space could literally be hiding away inside this asteroid? It may be harbouring life and it could literally be the tip of the iceberg? Here's a couple you may find interesting? So my reasoning why the asteroid Oumuamua could have artificial gravity is because we've created artificial gravity ourselves in space. It was on board the space station Skylab 1. Here is images below of the astronauts using the running wheel inside the first space station. It's an absolutely amazing futuristic piece of technology but so, so simple. It reminds me of Alien the first movie where it bursts out of the stomach, yeah that one? 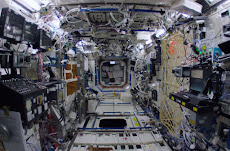 What do you think about artificial gravity?